Printed invitation folded twice, 3 1/4" x 4 3/4", to 1927 "Commencement Exercises" at the Congregational Church. 3 copies. Conway High School, Conway, Mass. 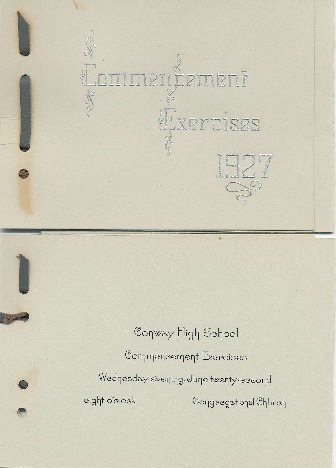 Conway High School, Conway, Mass., “Invitation to Conway High School Graduation, Class of 1927 ,” Conway Historical Society, accessed April 21, 2019, http://conwaymasshistory.org/items/show/933.